Rashi to Gen. 1:1 says that Hashem started the Torah with the account of Creation in order to demonstrate that He has the right to dispose of the world's territory as He wishes. Thus, we can validly claim the Land of Israel as ours (rather than being seen as interlopers who conquered the land from its rightful owners). On another level, I've seen something (I think it was in The Beginning, by R' Avigdor Miller zt"l), that it's in the spirit of "derech eretz kadmah laTorah" - proper behavior precedes, and is a prerequisite for, Torah knowledge and mitzvah observance. So the Torah devotes its entire first book to stories of our forefathers and foremothers, for us to use as models for derech eretz; having absorbed those, we are ready to go on to the laws and precepts of Jewish life. It was taught, R' Akiva said: "You shall love your neighbor as yourself" - this is the great verse of the Torah. Ben Azzai said: "This is the book of the generations of Adam/man [on the day that G-d created Adam, in the likeness of G-d did He create him]" - this is greater. According to many sources (including this) Ben Azzai makes the claim that the Torah includes the story of Adam to explain that we are all connected and brothers and created in G-d's image. The Torah's not exclusively a book of commandments, but a book of the G-dliness of humanity. I am reminded of the story of the illiterate who recited the aleph-bet and asked G-d to form the words of the prayers he would like to hear (although, in my favorite version, the end is a little snappier). I think this may actually be the same sort of thing, only backwards. Had G-d started the Torah with a list of commandments and rules, or even a dry list of facts and dates, how many people (regardless of the rightness of it) would find themselves drawn into the study of Torah or understanding of what those commandments mean? 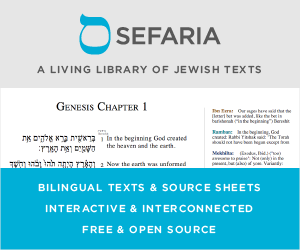 By providing us with stories, G-d has created a way for those who have not spent years and years studying to begin to understand the ways of Torah and how to observe halacha. While a child may have trouble extracting the knowledge they need from a list of mitzvot or prohibitions, she or he will be able to listen to the story of the golden calf and understand that to worship idols is wrong.